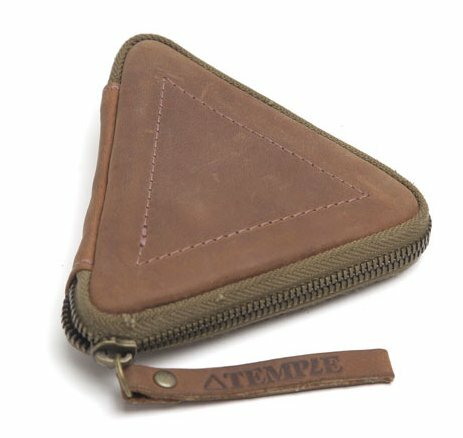 Keep your headphones and charger safe and secure while youâ€™re traveling with Temple Bagsâ€˜ headphone case. This tiny triangular case made from oiled saddled leather saves you from digging through your messenger bag or suitcase looking for your iPod charger. Get your convenient case online from Temple Bags.